With its new proposed rule, the CMS is taking yet another tack in its push for greater interoperability by changing the requirements for accountable care organizations' electronic health record use. Under the rule, for performance years starting in 2019, ACOs would have to verify annually that a certain portion of their eligible clinicians are using 2015 Edition-certified EHRs to record clinical notes and communicate with patients and other providers. Regulators intend the change to boost interoperability by requiring eligible clinicians to more effectively exchange health information, as called for by the 21st Century Cures Act. "Care coordination has been difficult for the ACOs because of the interoperability issue," said Bob Bailey, principal and founder of consulting firm Healthcare IT Leaders. "ACOs are a lot better off with the (up-to-date) EHRs because they have access to so much more data that can allow them to focus on population health." The proposed rule aims to complement the CMS' MyHealthEData initiative. CMS Administrator Seema Verma intends MyHealthEData to give patients more control over their own health data, though details on how that would happen are scarce. Verma recently pushed the initiative at the ONC's interoperability forum, where she said patient access to and ownership of health data would help usher in "a new era of digital health." The new verification requirements for certified EHR use would take the place of current policy that relies on the quality performance measure to determine how many eligible clinicians in an ACO are using certified EHRs. The intention is not only to push use of certified EHRs but also to make reporting that use simpler. "If reporting were that much easier, and the ACOs had access to data across EHR platforms, care coordination is going to increase," Bailey said. The change would also put requirements for ACOs in closer alignment with those of the Quality Payment Program for eligible Medicare providers. The CMS did not set the threshold for certified EHR use. But the agency is asking for comments on whether it should be higher than 50% for ACOs. 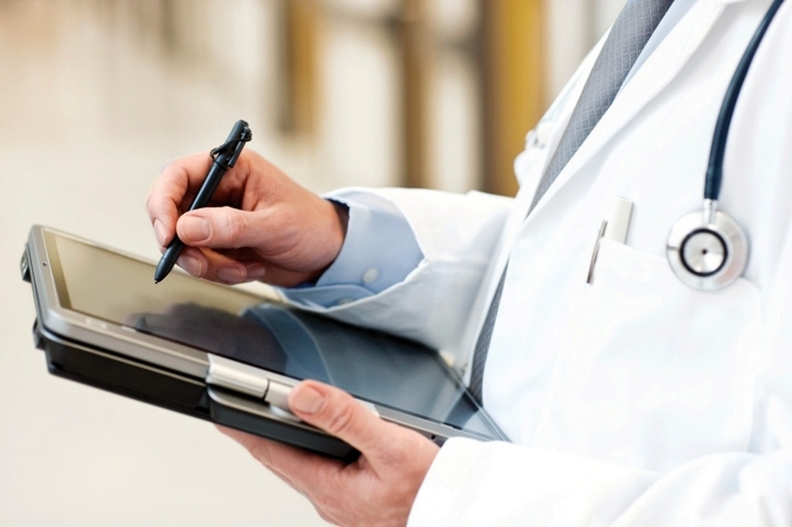 Currently, about 80% of primary-care physicians in ACOs meet meaningful use requirements. The proposed changes to certified EHR use requirements come alongside plans to overhaul the Medicare Shared Savings Program by dropping Track 1 and Track 2 and adding a Basic track. "ACOs can be an important component of a system that increases the quality of care while decreasing costs," Verma said in a statement. "However, most Medicare ACOs do not currently face any financial consequences when costs go up." Comments on the proposed changes are due Oct. 16.